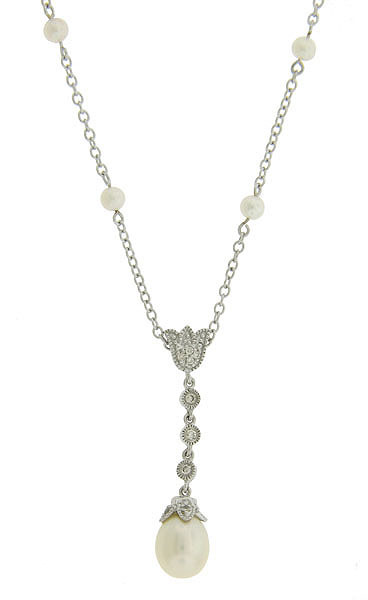 A sparkling diamond frosted dangle adorns the center of this romantic 14K white gold necklace. A teardrop pearl is attached to the floral inspired pendant, while additional round pearls punctuate the simple link chain. The antique style necklace measures 15" in length, the pendant measures 1" long.